Just in time for Spring! 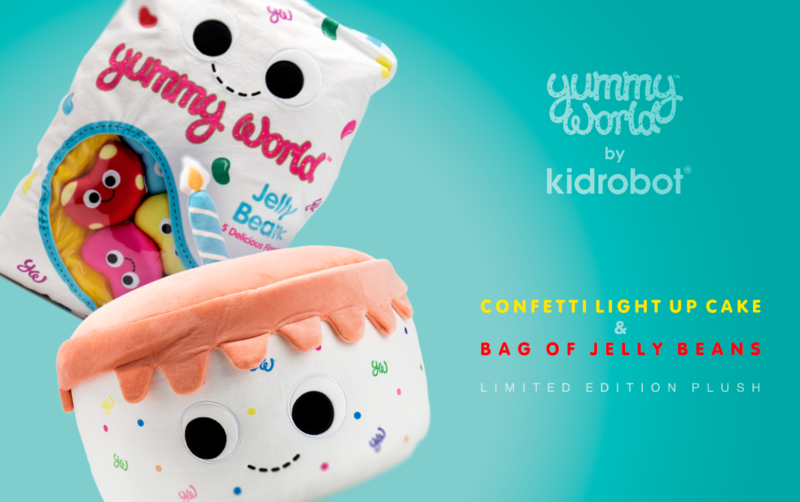 Kidrobot and Yummy World welcome the new XL Casey Confetti Funfetti Cake Plush with light up action and Jeni and the Jelly Beans XL Plush to the Spring lineup. Get them both now at Kidrobot.com! Sweet, colorful and a whole lot of fun! Meet Jeni and the Jelly Beans, the newest members of the Yummy World food plushie family. With winter coming to a close, the melting snow is not only making way for vibrant kaleidoscope of Spring flowers but also for Jeni and the Jelly Beans to make their Sprinkle Tree debut! This interactive and colorful set of smiling plush Jelly Beans not only look delicious but they smell delicious too! Each of the Jelly Beans offer a variety of different scents that match their color including fruit punch, cotton candy, blue raspberry, pineapple and lemon lime scents. Featuring soft high quality plush fabric, the signature Yummy World “googley” eyes and dashed smiles, these friends are stuffed full of love. This 20-inch Jeni and the Jelly Beans plush makes the perfect throw pillow on your couch to get the conversations flowing this Easter. The Jeni and the Jelly Beans plush are ready to bounce their way into your heart and home this year so get them now at Kidrobot.com. Have your cake and cuddle it too! Meet Casey the Confetti Funfetti Cake plush lighting up Yummy World as one of the newest residents of Sprinkle Tree. 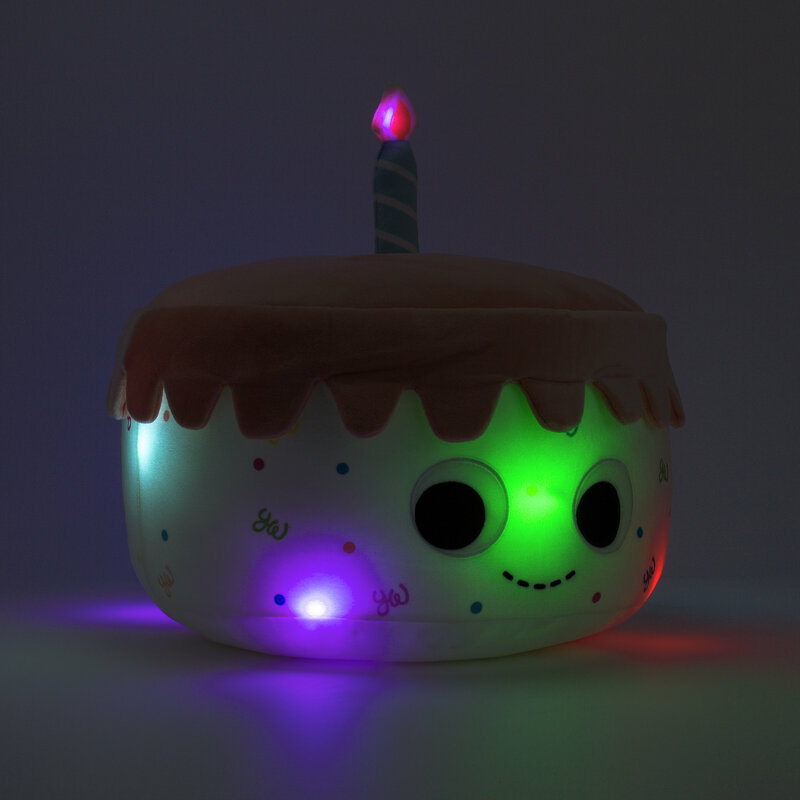 This extra large cuddly cake plush is the life of every party with a multicolored light up feature for late night parties! Made of high quality soft plush fabric and featuring the signature Yummy World “googley” eyes and dashed smile, this plush really takes the cake! 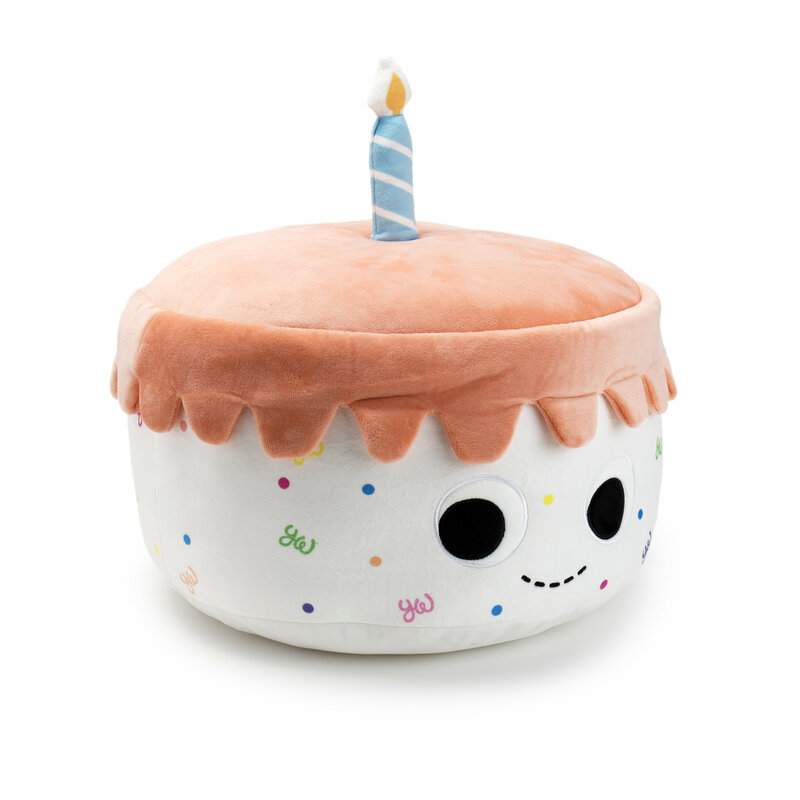 Get Casey the Confetti Funfetti Cake Plush today and get your party on! Love Yummy World? So do we! Shop new characters and best sellers now at Kidrobot.com!